Today's guest post is from a very special friend. We met through an online "expecting club" about four years ago. We were both expecting our first child in April 2008. She was having a girl, I was having a girl also. And at the time, we both lived in the same suburban area of Atlanta. Life threw my friend a few curve balls along the way, but she refused to strike out. She has since moved away to pursue cancer treatment at MD Anderson, and she recently launched a very special project to bring smiles to others in need. 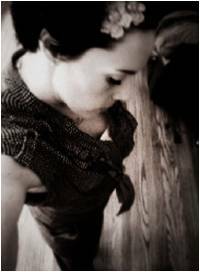 Throughout all her trials, she has never ceased to amaze me with her poise and integrity. When you hear the word cancer I believe part of your brain goes into a place where all of life’s what if’s, why’s and everything else all come crashing down at once. I imagine this is the feeling that anyone in a dark place feels. My brain worked like that for a moment when I was pregnant and hearing the words cancer, chemotherapy, radiation, and all sorts of other terms I did not comprehend. As my diagnosis and illness rocked along, I felt like those words or that far place would eventually be replaced by something grand. I had a healthy and beautiful little girl and I was oh so thankful for that. I continue to battle with my illness but how blessed am I to say that I am BATTLING. I never gave up and never will; I have far too much to live for and one little person who is ready to see her mama take on new battles each day. In my journey I discovered that although the people closest to you want to be your support system, at times it can hit too close to home, be too difficult, or they are just not equipped to think along those lines. Sadly the person who is battling begins to feel isolated and on this island of uncertainty. After trying to recreate the wheel in my own support system, a light bulb went off. I can be someone’s rock, or I can tell him or her THANK YOU for fighting. I realize I am only one person, but I am a person who is fighting too! I thought of ways to get my praise out there and really reminisced over the lost art of letter writing, sending and/or receiving mail other than a bill or junk! How awesome would it be opening a letter from someone who you do not even know thanking you for your courage, the heart that a higher power gave you to take on so much and still try? 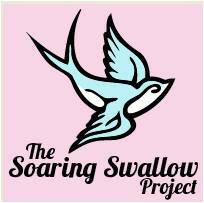 The Soaring Swallow Project was born. The idea is simple. I ask people who know of someone who is battling or fighting one of life’s uphill battles to kindly give me that person’s address, and I will happily send out a letter to lift that person’s spirits. I absorb the costs, I do not expect replies (they are welcomed) all I hope is that the person who is opening that letter smiles, or knows they matter. Everyone matters - sometimes we just need to hear it from someone else!